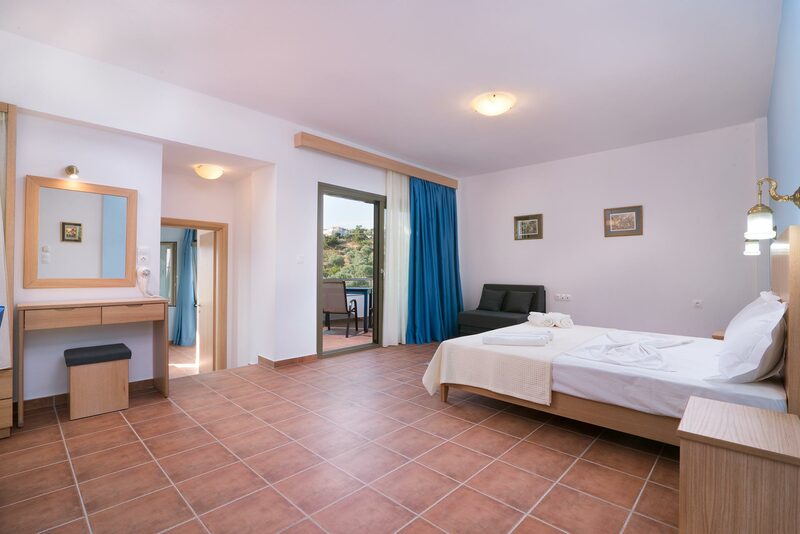 From each room of Petra Natura you will be able to enjoy unobstructed views of the hills, mountains and olive groves nearby. Each apartment or suite, is built entirely of stone and wood and decorated with simplicity. Petra Natura has aesthetically pleasing rooms that provide an ideal combination of space and style satisfying all kind of accommodation preferences and wishes. Petra Natura is embraced by all kinds of flowers, plants and trees, creating the sense of oasis. Sage, Rosemary, Mint, Daphne, Lavender, Mint and oregano accompanied by their aromas visitors any time of year! The apartments and suites are spacious, comfortable and decorated with engravings and fixtures of the previous century. They are equipped with wooden beds, furniture, bathrooms and of course are fully air-conditioned. Some apartments have panoramic mountain views and some others view to the pool and garden. The apartments can comfortably accommodate three people and the suites with separate bedroom up to four people. All apartments have a kitchenette where you can prepare snacks and drinks to enjoy on your balcony. Choose your own room and spend your ideal holidays. Suite has a seperated bedroom and features a 44sqm space. It can accommodate up to 5 persons. The apartment features 24sqm space. It can accommodate up to 3persons.